Estoy de acuerdo con Términos de servicio y Política de privacidad. Comience a crear facturas en menos de 5 segundos. Mientras configuramos su cuenta, recuerde verificarla haciendo clic en el enlace que enviamos a la dirección de correo electrónico registrada.
" Zoho Invoice has made my job infinitely easier. We love this app so much! " Spin66 studio is a California-based, full service marketing, advertising, and public relations agency. As their business grew rapidly through word of mouth about their excellent reputation, the Spin66 Studio team began looking for a billing solution that would scale with their business as it continued to thrive.They wanted a billing solution that would save them the time and effort they needed to invest in helping their clients promote their businesses. They tried several popular time-tracking and invoicing solutions, but none of the apps met their requirements.They were either too basic, too costly, or too complex. After an extensive online search, they found Zoho Invoice, which seemed to offer a solution for all their invoicing needs. To help them decide, the Spin66 Studio team created an analysis chart comparing many different invoicing applications, and Zoho Invoice stood out as the clear winner. Two years into using Zoho Invoice, Samantha feels confident that Spin66 Studio has found the perfect invoicing solution for their business needs. “Zoho Invoice has made my job infinitely easier. We love this app so much! And without having an exact answer on how much time it saves us, we’ll just say loads,” said Samantha. 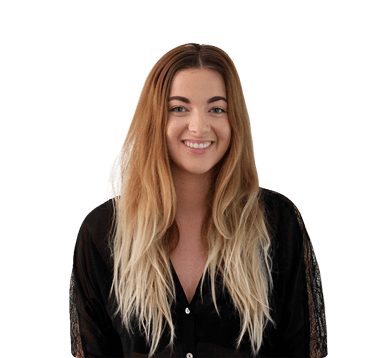 Samantha is able to manage invoicing for both projects and recurring services easily. 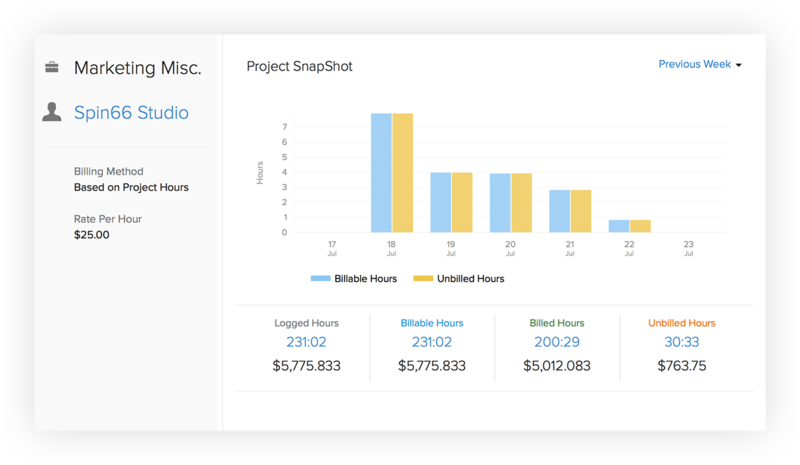 The project snapshots in Zoho Invoice make it really easy for Samantha’s team to report the time they spend on projects and ensure that they are always keeping to their budget, and the ability to send recurring invoices is useful to her team for static invoices on retainers. 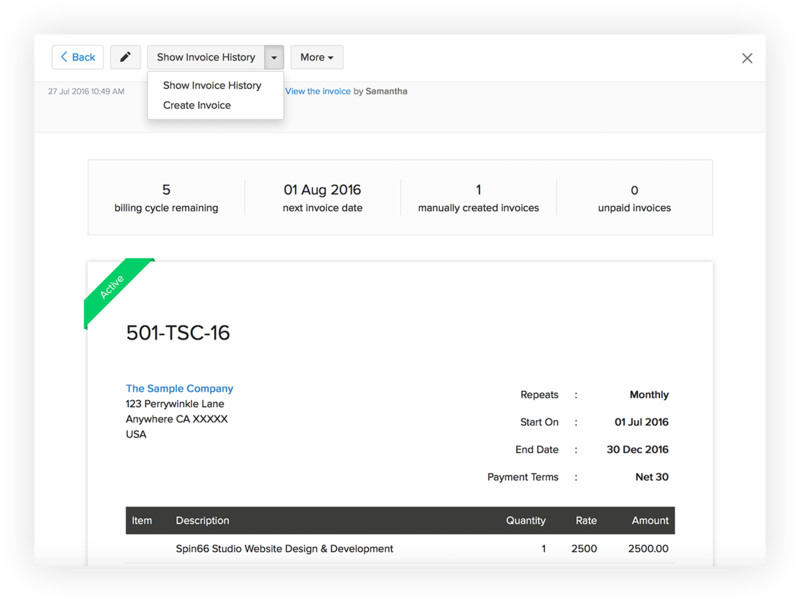 Additionally, one of Samantha’s favorite aspects of Zoho Invoice is the level of customization available for the invoice designs with Templates. Since Spin66 Studio provides branding as one of their services, it’s important that their invoices reflect the company as a whole. As Spin66 Studio continues to grow, Samantha is certain that Zoho’s integrated suite of business apps will scale to meet all their business needs. “Zoho has a ton of other platforms we have slowly [been] working into that are attractive opportunities to start utilizing with the growth of the company. Avoiding integration time and costs with tools is a big deal for companies of our size,” said Samantha. Samantha's business day has been made easier with Zoho Invoice. See what Zoho Invoice can do for your business. ¡Vaya! No captamos su nombre. Eh… ¿dónde enviamos la respuesta? Podemos esperar. Tómese el tiempo necesario para redactar la pregunta.